Praxis Media announced the prestigious National Education Excellence Awards, 2016 in New Delhi. 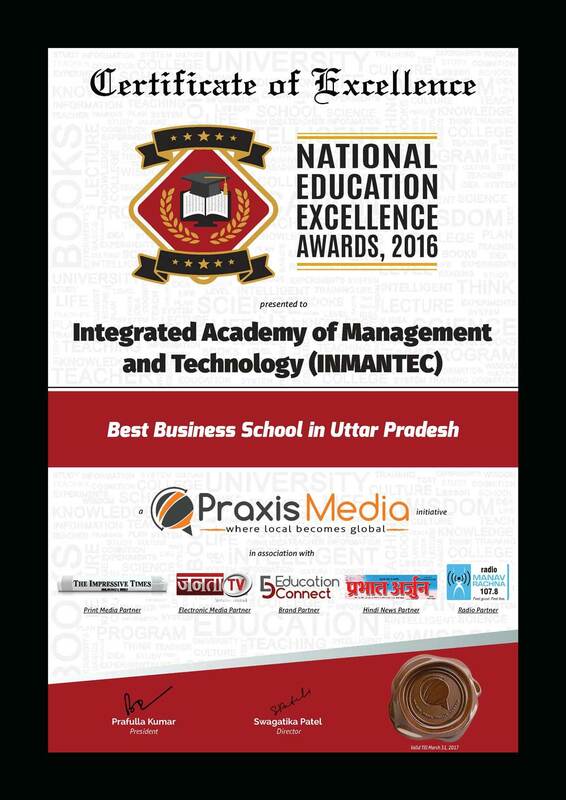 Praxis Media, in association with Education Connect, announced the prestigious National Education Excellence Awards, 2016 on March 19, 2016 to celebrate and honor around 75 winners at 5 different levels for epitomizing strength, ingenuity, knowledge, foresight for the growth of the education sector with vision and inspiration. 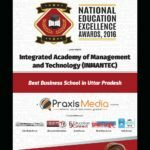 New Delhi, March 19, 2016: India’s leading media and marketing group, Praxis Media Private Limited announced the National Education Excellence Awards, 2016 on March 19, 2016 at a spectacular presentation ceremony held in New Delhi to celebrate and honor the outstanding contributions of educators across India. The endeavor was to recognize and reward excellence, innovative initiatives and exemplary work in the Education Sector in a spectacular style. Around 75 winners at 5 different levels were recognized and felicitated for signifying their achievement, dedication, ethics, innovation, contribution and excellence in the education sector. The awards was the result of determined and assiduous efforts of Praxis Media, along with its associates and partners, spreading over 2 months, which included nomination process, extensive surveys & research, opinions & feedbacks, categorization and scrutiny of the nominations based on various parameters and finally choosing the awardees though an independent jury panel. The major parameters which were considered for shortlisting the winners included Infrastructure, Faculty, Placements, Annual Growth, Impact Potential, Students & Alumni Feedback, Industry Feedback, Innovation, Scalability, Use of technology, Achievements, Previous honors and accolades, Corporate Social Responsibility, etc. The event was graced by an elite panel of guests and dignitaries that included names like Shri Amar Singh – Veteran Politian & Former Member of Parliament, Shri Anil Shastri – Former Finance Minister, Government of India, Ms. Alka Lamba – Hon’ble MLA from Delhi, Smt. Swati Maliwal – Hon’ble Chairperson, Delhi Commission for Women, Ms. Arti Mehra – Senior Politician, BJP, and Shri Anand Kumar – Founder, Super 30. National Education Excellence Awards, 2016, an initiative of Praxis Media, in association with Education Connect – India’s leading online education portal and Global Brands Network – Confederation of most valuable brands worldwide was instituted in 2015 to recognize and felicitate the achievements and the work done by institutions and individuals in improving the quality of education in India, and thereby continuously working toward increasing the level of education excellence. The initiative was well supported by Janta TV – Electronic Media Partner, The Impressive Times – Print Media Partner, Prabhat Arjun – Hindi News Partner, Radio Manav Rachna 107.8 FM – Radio Partner, PlugIn PR – PR Partner and Recruit Wheels as its Associate Partner who echoed the same objective of ‘Education Excellence’. The Founder-Director of the company, Mrs. Swagatika Patel Singh was also present at the function and said that each winner have exemplified excellence and typify the very best of teaching practices and educational innovations. These winners are enhancing young lives on a daily basis by giving them proper guidance, immaculate skills, inviolable courage and unlimited curiosity. 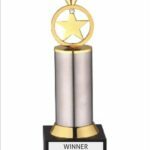 We understand that true education can make a real difference and that is exactly what all the winners here can take pride of. The National Education Excellence Awards, 2016 are a small token of appreciation from Praxis Media to all these inspirational individuals and institutions. Praxis Media Private Limited is a premier insight driven media and marketing services company that is widely recognized for pioneering and innovative work for its clients and is a one-stop solution for affordable and turn-key marketing and business services for domestic, multinational, government, non-government, corporate, established and new start-up businesses and services. The company works with its brands and associates to help in boosting its client’s businesses and services and taking it to its zenith through bespoke brand management and strategy, ratings and accreditations, business advisory, market research, marketing solutions, strategic public relations, media management, reputation management and design and communication solutions.